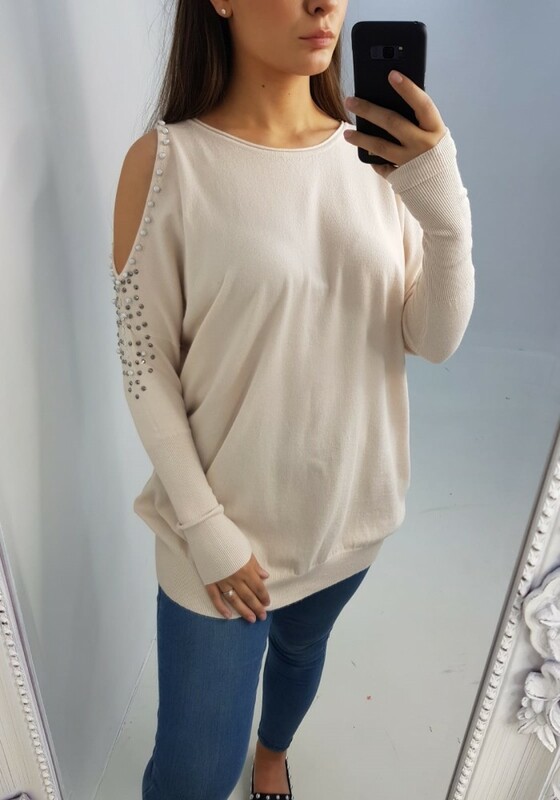 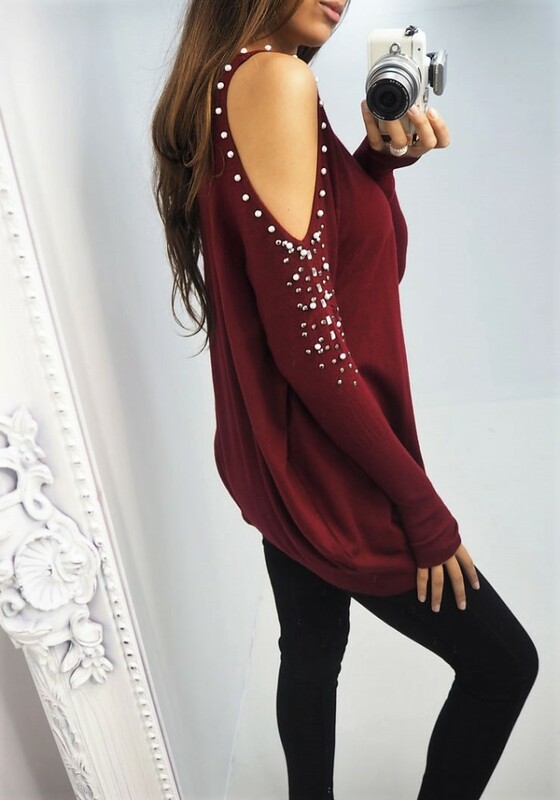 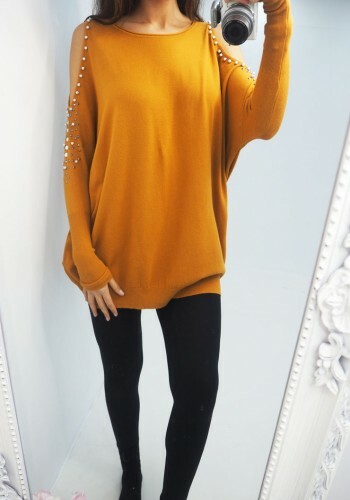 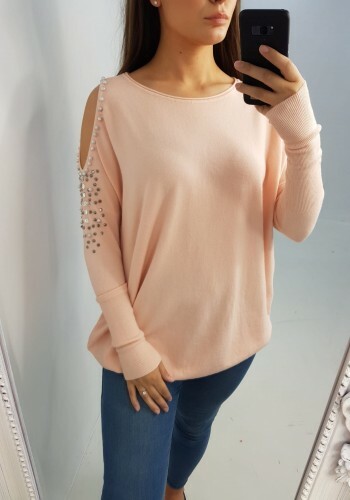 Enter the new season in style with this gorgeous cold shoulder knitted jumper! Features elegant silver peal and crystal detail! Choose from all new season shades for day or night!